1. Motherboard Restrictions – Due to the smaller footprint of a board, the available real estate to locate PCI expansion ports and other connectors is restricted. 2. Case Restrictions – As computing hardware gets smaller, so do the cases. This drive to make computers smaller leads to the lack of room for expansion. Here at Logic Supply we have coined the term “Expandable Computers” to communicate the increased flexibility and number of expansion options you get. Logic Supply’s team of dedicated engineers design cases with our customers’ expansion needs in mind. We regularly help customers working in Data Acquisition and Digital Surveillance applications where expansion is usually a key factor. Whether it be room for I/O expansion cards, or multiple hot-swappable storage drives, our line of expandable computer cases has you covered. Cue the MC600. The latest member of our Industrial and Embedded Computer Case line-up. This Mini-ITX case is all about expansion options. 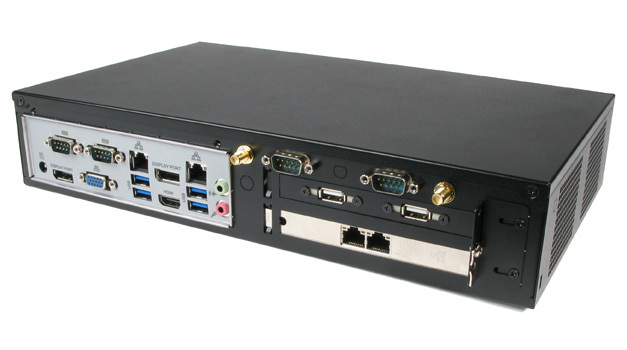 The case’s standard backplate configuration comes with punchouts for two PCI expansion cards, two COM ports, two USB ports (housed in a PCI Expansion slot) and three antennae. There is then one extra antenna punchout on each side of the case. All of this is in addition to the I/O ports that come with the motherboard you select. 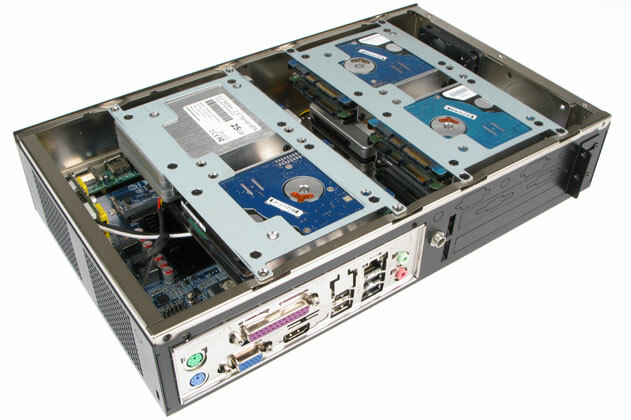 The expansion bay has enough room to locate two PCI , or PCI Epxress, expansion cards and comes equipped with mounting holes for attaching 2.5” and 3.5” storage drives. Combined with the optional mounting brackets that suspend drives from the top of the case, the MC600 has 12 different locations for 2.5″ drives. 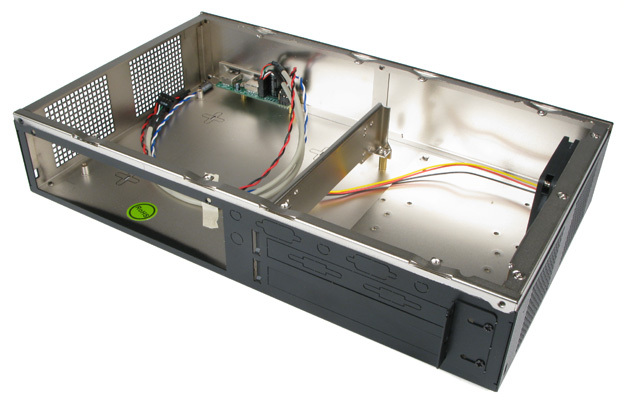 The front panel of the MC600 can easily be replaced to offer hot-swap bays for four 2.5” drives or one 3.5″ drive, an optical drive , LCD display, or any other configuration you may need. The MC600 is one of the most versatile small form factor cases you will find on the market, offering you the options you always wished you had. 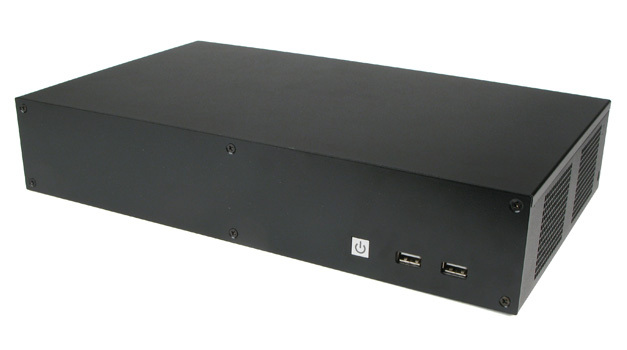 This is Expandable Small Form Factor Computing.